Announced by President Ronald Reagan in 1984, Space Station Freedom was never built but it did give way to multiple design changes over the years to finally morph into the International Space Station. 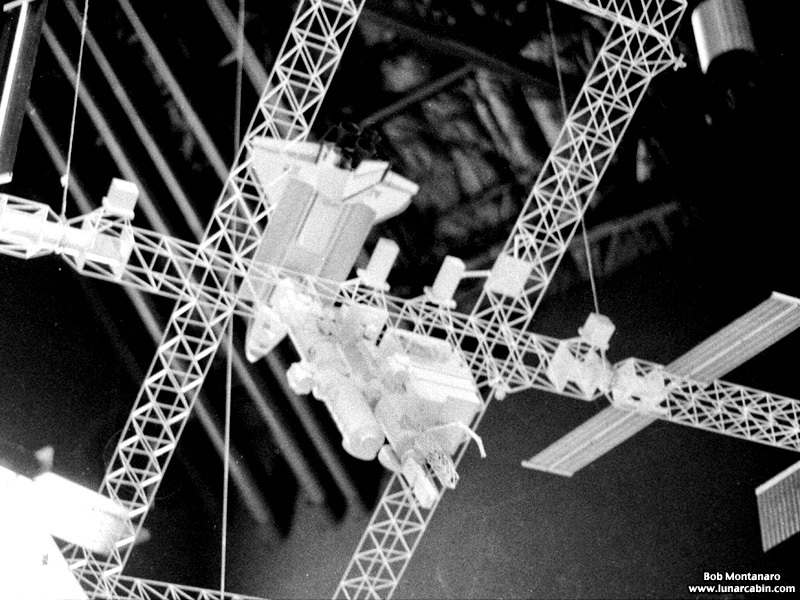 This image from the black & white negative archive shows the duel keel design of Space Station Freedom, which was popular back in 1986, in a display at the Kennedy Space Center Visitor Complex. Note this exhibit shows the Space Shuttle, which would have been used to construct and service the station, is docked with the orbital complex.